Without prejudice to any further announcements/actions, the European Federation for Hunting and Conservation (FACE) feels compelled to provide clarification on certain provisions of the Birds Directive following the recent opinion of the EU Advocate General (AG) in the live-finch capturing (trapping) case (European Commission vs. Malta). Although many are already referring to this opinion as yet another excessively restrictive and possibly erroneous interpretation of certain relevant provisions of the Birds Directive, FACE would like to clarify that this is a non-binding opinion and that the final decision on this case rests with the Court of Justice of the European Union. The AG’s opinion states: “The purpose of the Wild Birds Directive is to protect birds — not to regulate hunting or trapping them. That simple truth needs to be borne in mind when striking the balance between environmental protection — the directive’s primary aim — and the various other interests identified in Article 2 of the directive (notably those of an economic or recreational nature)”. First, it is important to point out that Article 1 of the Birds Directive refers to “protection, management and control”, while pursuant to Article 2 measures shall be taken to maintain populations or to adapt populations to a level “which corresponds in particular to ecological, scientific and cultural requirements, while taking account of economic and recreational requirements”. It is important to note that “cultural” requirements are at the same level as “ecological” requirements. It is clear to FACE that Article 2 should not be referred to in the context of “various other interests” as stated in the AG’s opinion; instead it needs to be accepted that “the [Birds] Directive takes into consideration on the one hand, the necessity for effective protection of birds and, on the other hand, the requirements of public health and safety, the economy, ecology, science, farming and recreation” (as stated in Case 247/85). Further, it should be noted that the Birds Directive is a wide-ranging instrument aimed at the general conservation of wild birds in the European Union. It addresses several aspects of conservation (including safeguards for habitats, controls on trade and hunting and promotion of research). It needs to be clarified that the Birds Directive fully recognises the legitimacy of hunting of wild birds as a form of sustainable use. In this context, the Directive considers that hunting “…constitutes acceptable exploitation”, recognises that “because of the importance which may be attached to certain specific situations, provision should be made for the possibility of derogations”, covers “the protection, management and control of these species and lays down rules for their exploitation” and stipulates that “Member States shall take… account of economic and recreational requirements”. The AG’s opinion states: “The individual categories of derogation contained in parts (a), (b) and (c) of Article 9(1) are not, as I read them, intended to serve as a basis for a broad, generalised practice that derogates from the principle of protection”. While it is clear that Article 9(1) does not give Member States carte blanche to derogate, it also needs to be pointed out that Article 9(1) derogations are applied in a generalised manner in their territorial scope in many EU countries (e.g. Article 9(1)(a) for damage-causing species) and this justified and explicitly referred to the guidance on hunting under the Birds Directive (an average of 5000 derogations are applied per annum by EU Member States). The fundamental question continually arises as to whether hunting can constitute a “judicious use” for the purposes of Article 9(1)(c). This question has been answered by the Court in Case C-182/02 Ligue pour la protection des oiseaux and others: “It is clear from the foregoing that the hunting of wild birds for recreational purposes during the periods mentioned in Article 7(4) of the Directive may constitute a judicious use authorised by Article 9(1)(c) of that directive, as do the capture and sale of wild birds even outside the hunting season with a view to keeping them for use as live decoys or to using them for recreational purposes in fairs and markets”. It goes without saying that traditional hunting practices in Europe, such as the live capture of finches, are very much part of the cultural and even ethnological heritage of the countries and regions where they continue to be practiced and transmitted from one generation to the next. Some of these practices are even recognised as Intangible Cultural Heritage under UNESCO (e.g. bird trapping in Austria). Although FACE is happy to provide further clarity on relevant provisions of the Birds Directive, we do not feel that it is necessary, at this point, to comment on any specific points related to the (European Commission vs. Malta) live-finch capturing (trapping) case. The eventual outcome will be determined by the Court of Justice of the European Union. In the context of this case, the opinion of the Advocate General of the Court of Justice of the EU is regarded as an advisory opinion, which is non-binding on the Court, but would often influence its decision. 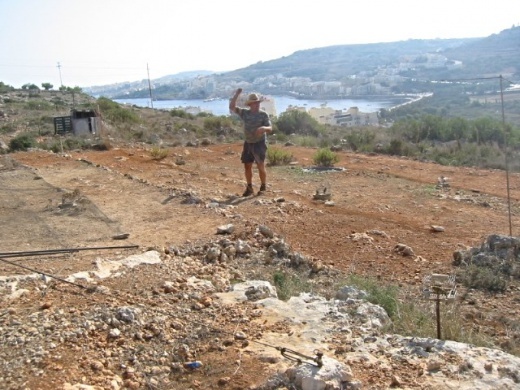 FACE is currently engaged in a detailed review of the AG’s opinion with its Member, the Federation for Hunting and Conservation – Malta (FKNK). 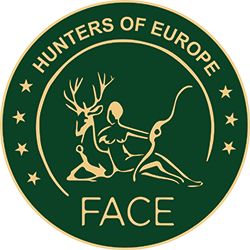 For more information about traditional hunting and the Birds Directive, see the “White Paper” which was developed by the European Association for Regional Hunting Traditions (AECT) in close cooperation with FACE.